Just because summer vacation usually means a break from class time, it does not also mean a break from learning. Research reveals that students from all economic backgrounds suffer from “summer slide”—meaning they lose hard-earned academic skills over the summer. While all students are likely to lose some math skills during the summer, children from low-income families are likely to lose two to three months of reading skills as well. The disproportionate impact of summer reading loss on low-income children accumulates over time, widening to three grade-level equivalents by the end of fifth grade. These disparities can be largely explained by differences in how children spend their summers. This week New America cohosted an event with the Joan Ganz Cooney Center at Sesame Workshop in partnership with the National Summer Learning Association and the Campaign for Grade-Level Reading entitled Anytime, Anywhere Summer Learning: Connecting Young Children and Their Families to Early Literacy Options. (Watch the event here.) Experts explored the intersection of three timely issues: early childhood education, summer learning loss, and technology’s role in addressing this phenomenon. While policymakers and educators are increasingly aware of the importance of summer learning, many families still need better information on learning loss and greater information about and access to affordable ways to help their children learn over summer. One panelist explained that many high-income kids spend the summer at robotics camp, while low-income children hang out around the house. Although expensive enrichment programs may boost achievement for those who can afford them, they are not the only way for children to learn over summer. Access to libraries, museums, a literate and willing adult, or the right website can all effectively help children learn outside of school. As Ms. Gutierrez, National Director of Abriendo Puertas/Open Doors, explained, “we need to broaden our view of where learning takes place”—with the right resources it really can be anytime and anywhere. One phrase heard repeatedly throughout the event was the importance of “meeting parents and children where they are.” By leveraging technology, this can be taken in a literal sense. On average, children spend more than seven hours each summer day engaged with some form of media, making it crucial that this time be put to good use. Numerous organizations and educators are developing affordable tools that have the potential to combat summer learning loss in nontraditional ways. 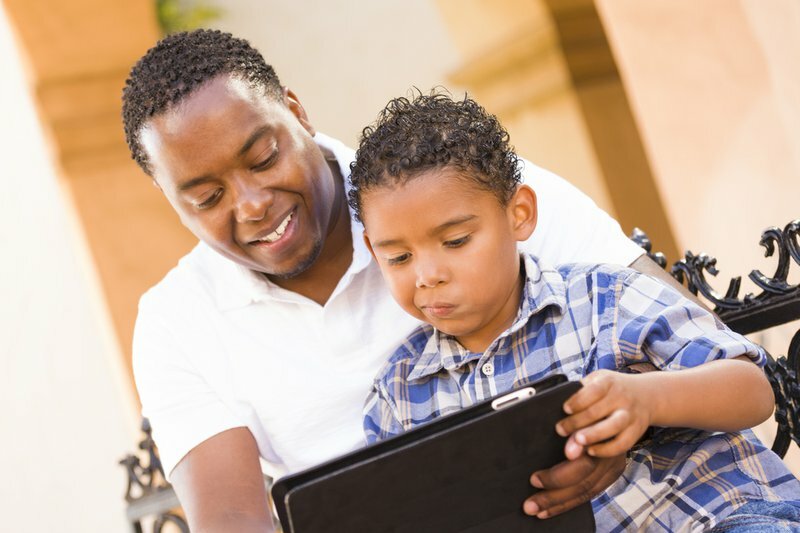 With modern day technology, families need not rely on traditional summer school or camp programs; they can turn to their computers or tablets. The panelists mentioned numerous websites, apps, and programs that aim to improve student outcomes, such as Vroom, SUPER WHY Reading Camps, and the Association for Library Service to Children Reading List. Innovative programs like Camp Wonderopolis™ provide families the opportunity to attend an online educational summer camp at no cost. Arizona Literacy Director Terri Clark Skyped in from Arizona to talk about a new state initiative: Read On Arizona. The initiative offers all children in Arizona access to enhanced digital books through an online library. This partnership of public and private entities focuses on building literacy and language skills for children from birth through age eight. In a state where some families live up to three hours away from the closest library, this online summer reading platform gives children unprecedented access to thousands of books as long as they are able to get online. Finally, the Harvard Family Research Project’s most recent FINE newsletter features a variety of additional programs and resources that connect families to learning opportunities. Technology is a tool, but as the participants stressed, it is not the only tool. As Ms. Flores, Senior Fellow at the Campaign for Grade-Level Reading, explained, “Technology cannot be about replacing adults, but equipping them with the tools and information they need.” Multiple participants emphasized the importance of relationships between adults and children, regardless of the medium. And as Dr. Susan Neuman, Professor of Early Childhood and Literacy Education at NYU, reminded participants in her final remarks, summer is supposed to be fun! Increasing families’ access to engaging, fun, educational resources is an important step in reducing summer learning loss and helping to ensure that children are ready for the next school year.